Rotherhithe is much like other areas of South East London within the shadow of Canary Wharf. Next to the old estates now sit new developments featuring luxury spacious apartments built alongside the River Thames. In the middle of this is what's left of the Surrey Docks Stadium on Salter Road, Rotherhithe. The stadium was the home to Fisher Athletic from the early 80's to the late 2000's. 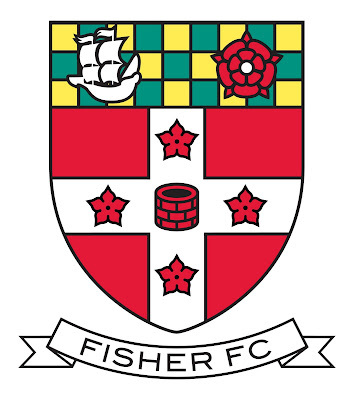 The move to the purpose built stadium coincided with Fisher's rise from the Spartan League to the GM Vauxhall Conference which they played in from 1987/88 to 1990/91. 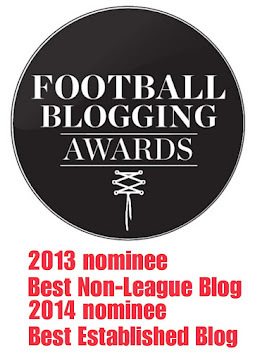 The Fish struggled during their stay at Non-League's top table finishing 15th, 18th, 19th and 22nd. Memories of the glory days - A new years eve Conference fixture between the E's and The Fish in 1988. Above - The Fisher pen-pictures from the programme in 1988. Above - Fisher's line up against Worcester City in the Southern League in 1992 featuring a young Paul Underwood who later went on to play for the old Enfield FC. The match finished 1-1 between the two sides who were struggling at the wrong end of the table. They reached the 1st Round proper of the FA CUP on two occasions in 1984 and 1988. 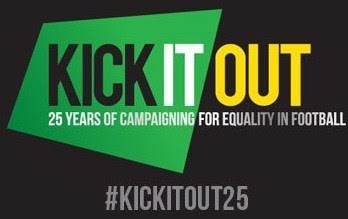 Their run in 1984 started in the 1st Qualifying Round and they beat Rainham Town, Hitchin Town (after a replay), Tring Town (after a replay) and Folkestone (after a replay) to play Bristol City at home. The league side scrapped through with a 0-1 win. In 1988 they again started in the 1st Qualifying Round and beat Ramsgate, Thanet United, Kingstonian (after a replay) and their local rivals Dulwich Hamlet (again after a replay) to this time visit the other half of Bristol. Rovers won the game 3-0. After loitering round in mid-table of the Southern League Southern Division during the 90's the club yo-yo'ed between the top and first division's of the Southern League in the early 2000's and with planning permission to redevelop the Surrey Dock's Stadium the future looked bright. The club eventually joined the top division of the Isthmian League for 2005/06 and with ex Spurs player Justin Edinburgh now in charge they won the play off final against Hampton and Richmond Borough to gain promotion to the Conference South. The club spent three season's in the Conference South but in the summer of 2008 financial difficulties came to light resulting in relegation at the end of the 2008/2009 season and their subsequent demise. The Surrey Docks Stadium still stands today in a derelict state and is now used as a venue for bargain hunter's to visit as a car boot sale is now held on the what's left of the pitch. So, A ground which saw the old Enfield FC win 3-2 in a Conference fixture in front of 586 on the 26th March 1988 courtesy of a Mark Schiavi hat-trick now stands empty. The stadium will also hold fond memories for supporters of Barnet as it was there were they finally clinched the Conference championship in 1991 and finally gained promotion to the football league. Enfield FC fans may remember the 1988 game as it was a double weekend for the E's. On the day after the E's travelled to Horwich to played in the GMAC Cup Semi-Final losing 1-3. Only three players remained in the starting XI in both games being Andy Pape, Nigel Keen and Brian Cottington. All is not lost as the club were reformed as Fisher FC for the 2009/10 season and they now ply their trade in the Kent League playing as the old Fisher Athletic did for their final few seasons at Champion Hill, the home of Dulwich Hamlet. 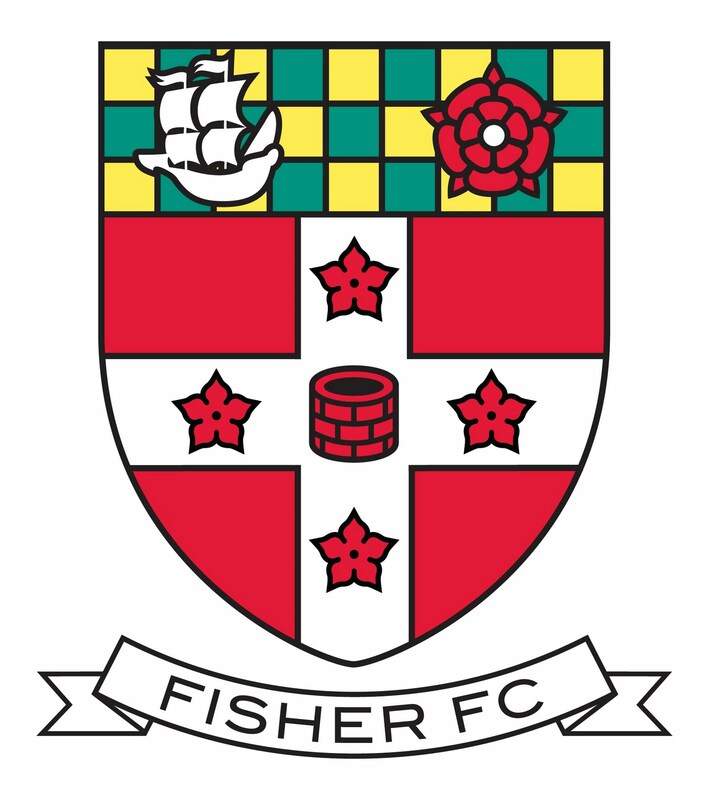 Fisher FC's website can be found at fisherfc.co.uk. They have started a new road to Wembley in the FA Vase beating Ringwood Town and Norton Sports so far and face Warlingham FC in the 1st Round on Saturday 2nd October at Champion Hill. They currently sit with a league record of played 6 won 2 drawn 1 lost 3 with an average home gate of 107. 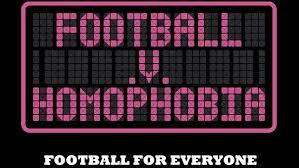 In the league they face local derby games against Beckenham Town, Greenwich Borough, Erith Town and Erith & Belvedere amongst others along with a trip to the seaside to play Herne Bay scheduled on the 16th October.